/ Smoking During Pregnancy: How Does Smoking Affect Your Baby? According to a March of Dimes article “Smoking During Pregnancy,” at least one in ten women smoke while pregnant in the United States. Cigarettes contain thousands of harmful chemicals, many of which are known to cause multiple health problems in adults. A developing baby may also be negatively affected when the mother smokes, and it is believed that nicotine and carbon monoxide play key roles. Women who smoke more tend to increase the baby’s risk for the above problems and more, but those who quit smoking may reverse some risk. For example, a pregnant woman who stops smoking by the end of her second trimester tends to have the same risk for the baby being low birth weight as those who have never smoked. However, some risks are still elevated if the mother has not smoked at all. For example, the risk for congenital heart defects is elevated if the mother has smoked one month prior to becoming pregnant or at any time during the pregnancy. Smoking mothers may also experience premature rupture of the membranes (PROM), in which the sac holding the baby breaks before the end of the 37th week of pregnancy. This can result in premature birth, which involves a number of complications for the newborn. An article in Pediatrics entitled “Smoking During Pregnancy and Newborn Neurobehavior” indicates that newborns of mothers who smoke may experience symptoms similar to the withdrawal-type symptoms of newborns born to mothers who are addicted to illicit drugs. Symptoms may include being hard to soothe and being jittery. A National Institutes of Health entitled “Toddlers of Mothers Who Smoked During Pregnancy Show Behavior Problems” indicates that developmental and behavioral problems tend to be more likely in this population than in the non-smoking group. The study indicates that toddlers aged between 18 and 24 months were significantly more likely to display disruptive social behavior, including acting aggressive and refusing to follow directions and were less likely to play with their mothers when the mother had a history of smoking while pregnant. According to the above March of Dimes article, babies of mothers who smoked while pregnant are about three times more likely to die of Sudden Infant Death Syndrome (SIDS) than babies born to non-smoking mothers. Smoking during pregnancy can have long-reaching effects on the child. Maternal smoking can affect unborn babies and may result in slowed growth and development, birth defects, chronic disability, or death. Delivery complications are also more likely when the mother smokes. After birth, babies of mothers who smoked may experience withdrawal-like symptoms, increased behavior problems during the toddler years, and are at an increased risk for SIDS. 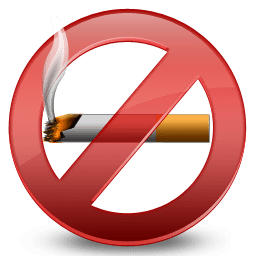 Lung Cancer And Smoking – Why Does It Happen?